Can a puppet story explain the deeper aspects of the good news of Jesus? This one seemed to help. With summer ended, I’m looking back on a season of teaching at Bible camps. 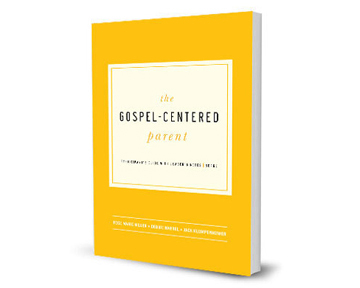 This year, one of my favorite moments came from a way of explaining the gospel I hadn’t tried before. The kids at that camp were talking about it all week. And when something works like that (which is rare enough in kids’ ministry), I figure I ought to share it. The kids at that camp were younger elementary students, five to eight years old. As part of one lesson, I wanted them to understand substitutionary atonement and imputed righteousness. Right there you can see the difficulty. Those kids weren’t cognitively ready for abstract thinking, and those parts of the gospel can sound pretty abstract. Substitutionary atonement is about how Jesus took the punishment for sin that we deserve. He didn’t deserve punishment, but he got punished instead of us when he died on the cross, so that if we belong to him we don’t get punished—he already did instead. Someone had to pay, and Jesus let it be him. Imputed righteousness is about how we get credit for Jesus’s goodness. Whatever good things we do aren’t good enough to earn salvation. But if we belong to Jesus, his good obedience counts for us. I explained those truths using those words, which is as straightforward as I know how to tell it. I could see that some kids were tracking but others looked confused. 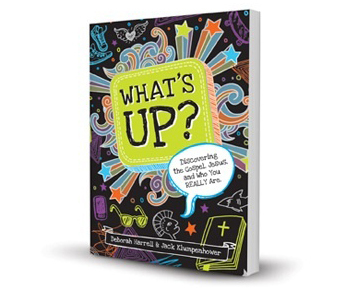 With older kids, for teaching these concepts I have an object lesson readers of Show Them Jesus or What’s Up? will recognize: I show it to be like switching report cards with Jesus. But I figured the report card analogy would be too abstract for those younger kids, so I tried a more concrete visual aid. I took a large photo of the group and covered it with sticky notes on which were written “greed,” “lying,” “saying mean things,” and so on, plus some pictures of sins. I also had a poster with Jesus’s name which I covered with his good qualities like “telling the truth” and “putting others first.” Then I switched the sticky notes, showing how Jesus takes our sin and we get credit for his goodness. That illustration has worked for me before, but this time I sensed many kids still didn’t understand. And even if they managed to follow it intellectually, it wasn’t making an emotional impact. By the end of that lesson, I was frustrated. The next day I tried again, this time using puppets. From the camp supply room, I grabbed the two puppets you see in the photo. We’ll call them Marcie and Evan. I explained to the campers that I would tell a story about Marcie and Evan to help us understand what Jesus has done for us. I didn’t actually put on a puppet play; I just told my story and used the puppets to act out a few parts of it. Here, then, is the story of Marcie and Evan. Marcie and Evan and some other kids were invited to a birthday party. But Marcie wasn’t acting very nice at all. When she got to the party, Marcie told everyone that she would only be friends with some of the kids. She told those kids they should only be friends with her, too. She didn’t like Evan, so she told all the kids they shouldn’t play with him. Then it was game time. Marcie bragged about how good she was at the games. One game was a race, but Marcie didn’t play fairly. She pushed other kids to get ahead. She even knocked Evan down to win the race. Then she talked about how she was the best because she won. She called Evan a loser. After I told that story, we talked about it. I explained how it’s something like what Jesus did for us—except that the sin we do is far worse than Marcie’s bad behavior, and the punishment we deserve that Jesus took for us on the cross is far worse than a time out at a party, and the good things that come to us from Jesus are far better than a party with cake and ice cream. We talked about how experiencing Evan’s kindness might help Marcie to change her behavior. We also discussed how the actual gospel story is even better than my puppet story because it includes us receiving (1) God’s fatherly love and (2) power from the Holy Spirit to actually become more obedient people. We even had a great discussion about why God would accept Jesus’s punishment-taking in our place, since most moms we know would never agree to let one kid serve a time out in place of another. What does God’s delight in one person taking the punishment for another tell us about his character? This turned out to be a fairly deep talk I ordinarily wouldn’t plan to have with younger kids, but one that helped them see God in a fresh way. Mostly, the story was a concrete example of an innocent person taking another’s punishment, while the guilty one got credited with righteousness. That’s the main idea that stayed with those kids all week. I got a sense that their depth of gospel understanding grew, as did their appreciation for Jesus. That’s a good feeling. 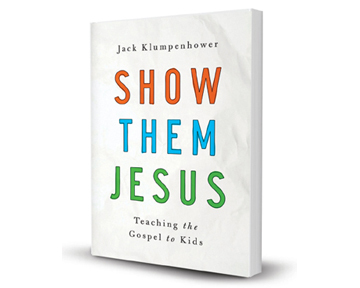 I’ve repeated the story for you not just to share an idea you may want to adapt for your own use, but because we all need the reminder not to give up on teaching the gospel. Truth be told, I nearly gave up after my initial lesson went poorly. 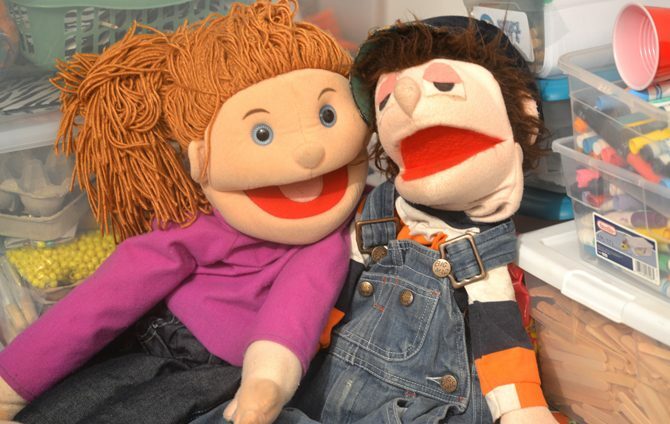 And when the idea of using the puppets occurred to me, my first thought was to dismiss it since I generally have a bad attitude toward puppet stories, having seen too many shallow ones in children’s ministry. But had I given in to either my frustration or my scorn for puppets, I would have missed out on the best teaching moment of that camp. Jack, thanks so much for all you do. I appreciate hearing your stories of struggles and successes. Isn’t it an awesome feeling when the light bulb goes on and kids ‘get it’? Thank you for the puppet story example. I am working with 5 year olds right now and it is a much younger population than I am used to. I can’t wait to adapt this! Thank you, Sheryl. I used to teach preschoolers regularly but don’t do it very often anymore. When I do, I find it can take a few sessions before I start to think in their terms again. You’re right, it feels great to see that some bit of teaching has worked.